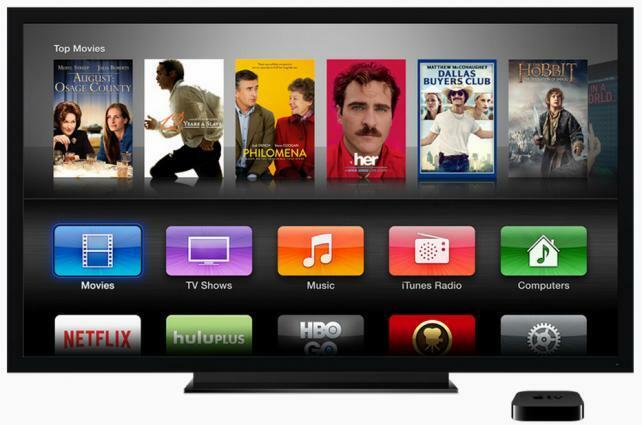 Apple TV so far is just a small set-top box, but Carl Icahn expects Apple to make an actual TV. The updated box, to be revealed alongside new iPhone and Apple Watch models at an event in September, will run a faster processor capable of streaming the higher-resolution 4K content, said the people, who asked not to be identified because the plans aren't yet public. The 4K designation is a quality standard that showcases content at twice the resolution of 1080P high-definition video, meaning the clarity is often better for the viewer. Apple is also testing an updated version of its TV app, which first launched in 2016, that can aggregate programming from apps that already offer live streaming. Apple is seeking to revive its video ambitions with the new product. Apple TV trails devices from Roku Inc., Amazon.com Inc. and Alphabet Inc.'s Google in the U.S. set-top box market share with only 15 percent as of the end of March, according to a survey this month from Parks Associates. Apple Chief Financial Officer Luca Maestri told Bloomberg News earlier this year that Apple TV sales had declined year-over-year in the 2016 holiday quarter. The iPhone maker has also lagged behind companies such as Amazon and Netflix Inc. in developing scripted shows and other video content. Apple, the world's most valuable company, relies on the iPhone for more than half of its annual revenue. Its services business, which includes the App Store and Apple Music, is its fastest growing unit and generated 16 percent of the company's sales in the most recent quarter. At its developers conference in June, Apple Chief Executive Officer Tim Cook said "you'll be hearing a lot more about tvOS later this year," referring to the Apple TV's operating system. Cook also announced that Amazon Prime Video will be supported by the Apple TV beginning later in 2017. Apple last updated the Apple TV box in 2015 with a new remote control, an App Store and support from its Siri voice assistant. It added new software features, including the TV app, last year. The company has also shown it's overhauling its living room strategy with multiple key hires. In January, the company recruited Timothy Twerdhal, Amazon's former chief for its Fire TV set-top box, to run the Apple TV box business. In June, the company hired Jamie Erlicht and Zack Van Amburg, former Sony Pictures Television presidents, to head up its video programming efforts.